Moorestown’s Stacy F. Jordan became the township’s first female mayor in January since it was officially incorporated 90 years ago in 1922. DreamWorks bought the rights to former Haddonfield teacher Matthew Quick’s upcoming novel, The Good Luck of Right Now. Quick is the author behind The Silver Linings Playbook, the Oscar-nominated novel-turned-film. Mealey’s Furniture awarded Mount Laurel veteran Bill Wilson for his work with the U.S. Marine Corp’s Toys for Tots program by giving him $10,000 worth of new furniture during their Greater Philadelphia-based Houseful of Furniture campaign. Say goodbye to the dilapidated old Acme on Chester Avenue that has been an eyesore to Moorestown residents for years. Moorestown Friends announced plans to lease the space to architecture and interior design firm InterArch, which will soon begin renovations on their new business. Medford became the first town in the state to initiate school bus advertising this January, placing ads for Murphy’s Market on some of the district’s 52 buses. A waitress at the newly opened Grand Lux Café in Cherry Hill is suing the restaurant, claiming her trainer sexually assaulted her, and the restaurant then created a hostile work environment after the allegations by playing a training video that featured the victim and suspect. 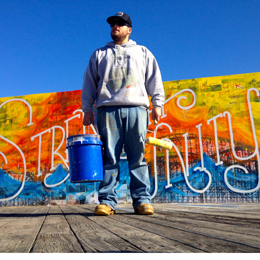 With the help of Morey’s Piers, Macomber set up on the Wildwood boardwalk to create his massive Strength in Unity mural, then chopped the finish product into 30 separate pieces, which went up for auction and raised more than $3,300 for the relief organization Waves for Water. He also plans to sell prints and T-shirts on Morey’s Pier this summer. This month isn’t just about candy hearts and cutesy Valentines, it’s also American Heart Month, which gives the country a fresh chance to take a look at heart health issues and heart disease prevention. In honor of American Heart Month, we asked three South Jersey cardiologists for their top tips on how to stay heart healthy every day. Turns out, it’s easier than you might think. Dr. Joshua Crasner, Kennedy staff cardiologist and medical director of Lourdes Cardiology Services’ Congestive Heart Failure Center in Sewell, stresses a slow and steady pace to stay on top of your exercise routine. “It’s like entering an entrance ramp on the highway: You ease your way on. You don’t want to just floor it to get there; it can be potentially dangerous. It’s like that with exercise,” he says. If you’ve already had heart issues, the key is to avoid recurring issues. On top of daily exercise, Bahal says he recommends taking 81 mg aspirin as part of a daily routine for anyone over the age of 55. “Follow up with your cardiologist regularly several times a year for routine tests that can identify cardiovascular disease and ward off any recurrences,” says Bahal. 28-13: The final score of the Jan. 20 Baltimore Ravens-New England Patriots AFC Championship game. Audubon’s own Joe Flacco—the star quarterback for Baltimore—led his team on a comeback win against Tom Brady and the Patriots, clinching the Ravens’ second Super Bowl appearance in franchise history. 18: The number of presidential inaugurations that Salem County’s B. Harold Smick Jr. has attended in his life. His most recent, this year for President Barack Obama on Jan. 21, comes almost exactly 72 years after his first trip to see Franklin Delano Roosevelt enter office in 1941. $55,000: The amount needed by the New Jersey Audubon Society by April to keep Westampton Township’s Rancocas Nature Center from closing its doors, after cost-cutting measures by the organization. $3,843,951 : The jackpot winnings from one man’s lucky slot machine on Dec. 30 at the Borgata. $100,000: The fine issued by the state to Haddon Township’s Stanley Rosenzweig after he was caught offering investors for his company unregistered and non-exempt promissory notes. 6200: Acres of New Jersey pine trees that were lost in 2012 by the invasive pine beetle, down 800 acres since 2011. 3,000: Estimated number of fans in attendance for the Philadelphia Flyers’ first official practice of the season at the Flyers Skate Zone in Voorhees on Jan. 13. 48: New Jersey’s ranking in pet ownership out of the nation, in a survey by the American Veterinary Medical Association. 50.7%: Percentage of New Jersey homeowners that currently own a pet, more than 20 percent less than the leading state of Vermont. Murder and romance clash during a quest for revenge in Williamstown native Ellen Parry Lewis’ new book, Avenging Her Father. The former local journalist can’t seem to slow down, putting out books continuously since the 2010 release of her first novel, Future Vision, and making a name for herself as a young adult fiction author. And it seems like she’s just getting started. Lewis’ newest book follows young Laerson Wylos in her oddly miraculous escape from the ethnic cleansing of the Peretians by the order of the pitiless King Laurenso. Following the brutal murder of her father and her people at the hands of the king, Laerson goes on to seek revenge on the royal family and those responsible. Emotionally wrought and alone, her blood lust leads her on a journey to the royal king’s castle where her murderous plot becomes far more complicated and twisted after she meets the family’s striking young prince and discovers shocking family secrets. Vengeance comes at a price when her feelings and the truth of her presence at the castle come to a head. Dr. Lawrence Levine, a podiatrist who runs Foot Health Centers in Cherry Hill, was awarded the Silver Level Consultant of the Year award at United Health Care’s 2012 Healthcare Innovation Awards. He was honored based on his impact in health care as an external consultant in the area. Out of the 17 girls selected as this year’s Philadelphia Phillies ballgirls, only one has her roots in South Jersey. Williamstown’s Rachael Matreale, a Rider University grad, joins eight other returnees and nine rookies on this year’s roster. Lourdes Medical Associates welcomed a new physician to their Cardiothoracic Surgical Services in Haddon Heights. Dr. Steven V. Curiale, a cardiothoracic and vascular surgeon, will join the team, specializing in minimally invasive and robot-assisted cardiothoracic and vascular surgery. Virtua Voorhees Neonatal Intensive Care nurse Ann Coyle was named the winner of Johnson & Johnson’s 2012 Amazing Nurse Contest. Part of the Campaign for Nursing’s Future, Coyle was honored for her work creating Virtua’s Angel Garden, a healing center for families who have lost premature babies. She was also featured on CNN’s Heroes: An All-Star Tribute show on Dec. 2. Upon the retirement of Bishop Joseph Galante, Pope Benedict XVI named Bishop Dennis Sullivan as the new leader for the Camden Diocese. Bishop Sullivan is leaving his post as the auxiliary bishop for New York to take over for Galante, who is leaving to seek medical treatment for kidney disease. South Jersey residents and viewers of the SyFy hit Warehouse 13 might be able to find some local references in the show, like the section of the warehouse named Haddonfield Street. Well, that’s no coincidence. 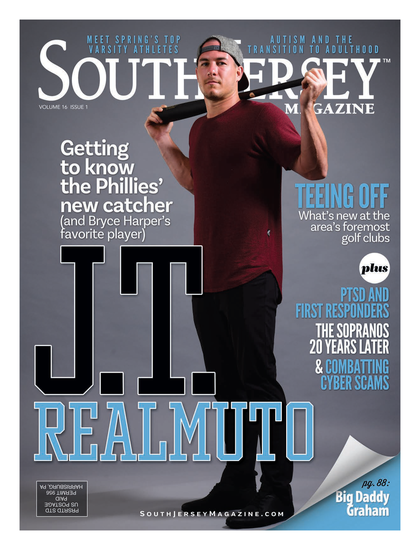 Haddonfield native Ian Stokes, a staff writer with the program, is to thank for the show’s South Jersey references, reaching into his memory of the area in much of his writing. Shawnee High School senior Jacob Dean, a three-sport athlete ranked seventh in his class, was selected to receive the Burlington County Football Club Scholar-Athlete award for his work in the fall season. He will be attending the University of Virginia on a lacrosse scholarship in the fall. Sports lovers tuning into the Jan. 13 NFL’s Atlanta Falcons playoff game against the Seattle Seahawks got a South Jersey surprise in Haddon Township’s Madison Bradley, the 11-year-old that popped up on screens across the nation. Bradley was one of 10 country-wide winners in the NFL’s annual Punt, Pass, Kick contest, and was presented with her trophy award—a football helmet—on live television during the game. One area police lieutenant has filed suit against the city and his police chief after what he considers abuse following a medical leave of absence. A man was arrested after calling the police to help him unlock his car. Police arrived at the scene to discover the man had illegal prescription medication and hypodermic needles in the car in question, and also had a warrant out for his arrest in the state of West Virginia. A quick-witted burglar was arrested during an attempt to steal metal from a local basement. He was relatively surprised when the homeowner—who was home at the time—called the police from the house. Maybe he should have knocked first.